Can your capture strategy be smarter? Even if you have a mature content management system and/or strategy, it may be time for you to evaluate the maturity of your capture strategy: how you get the information into the systems that get it into the hands of the right people when they need it. That’s where intelligent capture comes in. 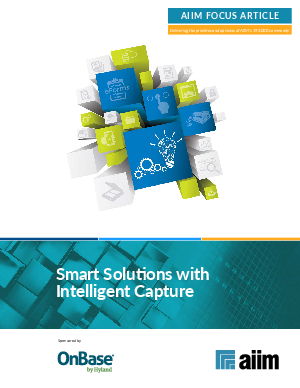 Find out how to make your capture solution smarter.